Dave Van Manen has traveled many paths through the years. He is never afraid to choose a path less traveled. Need a guide for your Path? Dave is an expert. He is the Founder of the Mountain Park Environmental Center, the husband of Helene, the father of Sierra and Sequoia, and the grandfather of Jude and Scarlett. 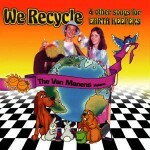 He is the composer of songs called We Recycle, I am an Earthkeeper, and Don’t Whine. Dave is the builder and happy steward of a solar geodesic dome greenhouse where he loves to grow organic greens through all four seasons. Dave is a musician, storyteller and songwriter. 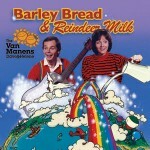 After he left New York City in the mid-seventies and wound up in the village of Beulah in Colorado’s southern foothills, he soon began singing his way into many hearts as one half of The Van Manens, along with Helene Van Manen. 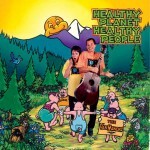 While Dave crafted a niche in the music business through writing catchy songs, recording award-winning albums for children, and performing throughout the U.S., he raised two children, worked as a clinical music therapist, and became an avid student of the natural world. 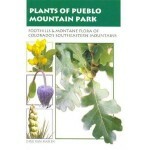 He authored a Field Guide to the Flora of Colorado’s Southeastern Mountains after spending several years learning the plants found along his favorite hiking trails. When Dave’s kids prepared to leave the nest, Dave began a transition out of the music business and into the not-for-profit world. In the late 1990s, Dave founded the Mountain Park Environmental Center (MPEC), an education and retreat center where he is affectionately known as Ranger Dave. Nearly twenty years later, Dave remains very much involved with this vibrant organization in several roles, including coordinating special projects, developing programs, writing grants and as resident naturalist. He has written and received numerous grants and has raised millions of dollars. 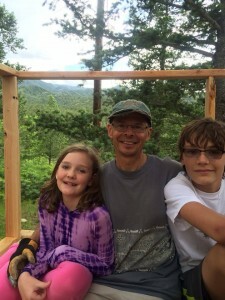 Dave hiked the 486-mile Colorado Trail as a fund-raiser for MPEC, he spearheaded and oversaw the renovation of a WPA-built structure into an eco-lodge (which is now the home of MPEC), and he loves taking people on full moon music hikes. 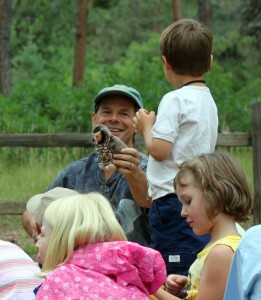 He is passionate about education, and especially loves facilitating his Nature for Toddlers program. Dave loves helping others in the not-for-profit world lead more sustainable organizations and more balanced personal lives. And he loves helping others take their ideas and turn them into something real. Dave loves books (favorite authors include Terry Tempest Williams and Craig Childs), and he loves to write, especially about the natural world. His ability to weave music into speaking presentations makes his public speaking engagements informative, entertaining, and moving. Dave is a multi-faceted man with a passion for life, for making things happen, for making a difference, for assisting others in making a difference, and for sharing Nature with people. “What am I passionate about? I am passionate about children, about education, about the natural world, about wilderness, about family, about living within my means, about healthy eating and food production, about justice. I am passionate about the world being just a little bit better because I was on it. I can help you turn your vision into a reality. Contact me.